is now up and ready to be ordered! combination of fine tip markers and watercolor pencils. spritzed the top lightly with a Gold Lame Iridescent Spritz by Heidi Swapp. I placed the title onto foam dots and then attached as shown. 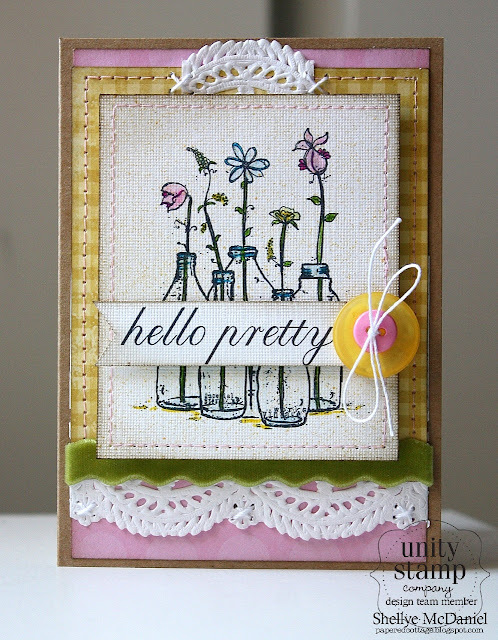 makes the card whimsical and feminine! Glad you've dropped by today...have a beautiful Sunday! This is gorgeous, Shellye! You're making this new image hard to resist. Hi Shellye! Wow..this is beautiful! 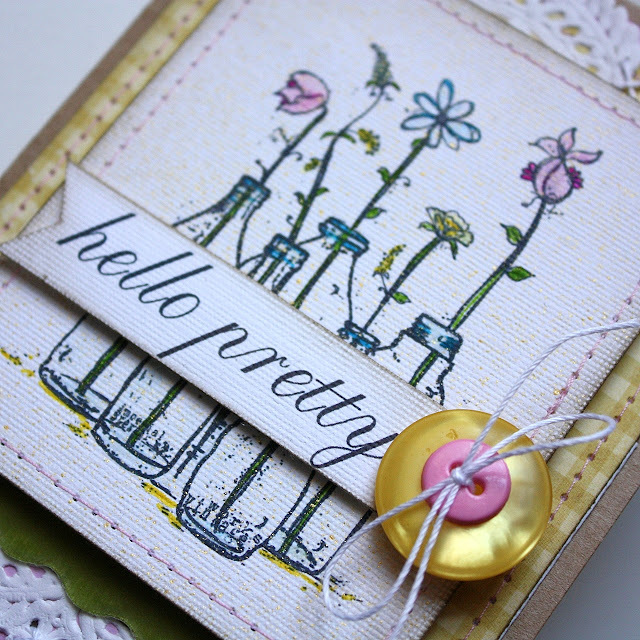 I love the use of the doily too! Very pretty! Love the way your paper looks like canvas!